I love the scent of sweet apple-like chamomile tea in the morning, so soothing and delicious with a spoonful of honey. 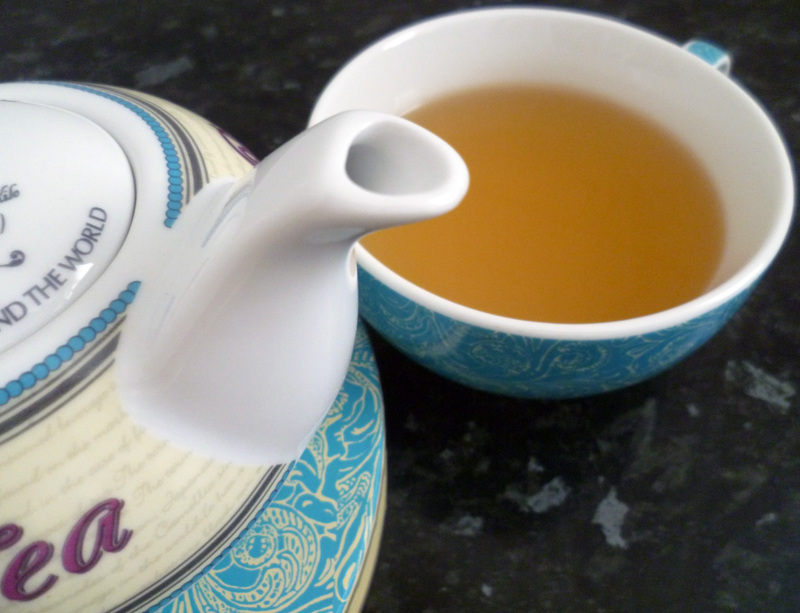 The uplifting aroma of Moroccan mint tea in the afternoon clears my mind, and the enchanting fragrance of jasmine tea helps me to unwind in the evening. My daily tea rituals are good for my skin, because tea is not only healthy to drink but it makes a lovely skin toner too. 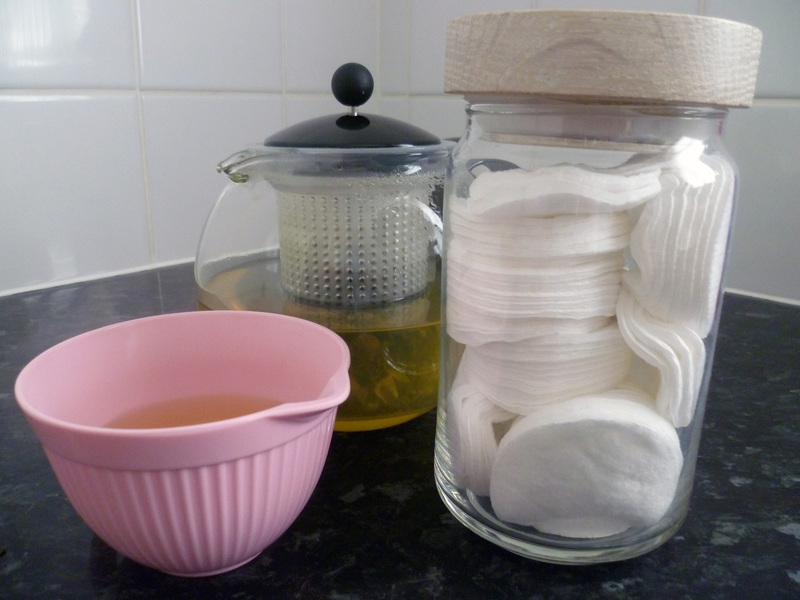 Good skin care should be simple and natural, and what is more basic than making a cup of tea? After brewing a herbal tea, I pour a little into a small cup or bowl to use as a toner for my face – so easy! Rain on Saturday meant that Emily and me put off the shook swarm – bees don’t like to be shaken but they dislike wet weather even more – to spend the afternoon spring cleaning last year’s brood boxes with a blow torch. By the evening, I felt in need of doing something more feminine, so I made some recipes for herbal teas to enjoy with mum on Sunday. I used my favourite herbs – chamomile, lavender, peppermint and rose. I love the sweet smell of chamomile. It is one of my favourite herbs, so good for drinking and lovely for my skin. Chamomile has anti-inflammatory properties and is soothing to skin, being particularly useful for irritated skin, rashes, allergic reactions, spots, acne and eczema. By reducing swelling and inflammation, chamomile calms the skin and supports healing. This herb is generally good for promoting healthy skin for all skin types, and can be used as a daily toner even for sensitive skin. 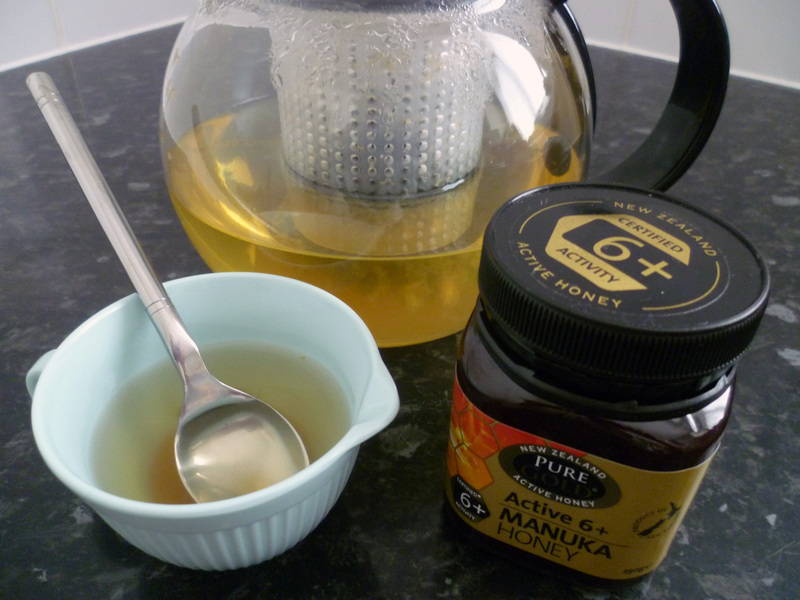 Honey is soothing and moisturising, and this time I used manuka honey which is particularly antibacterial. 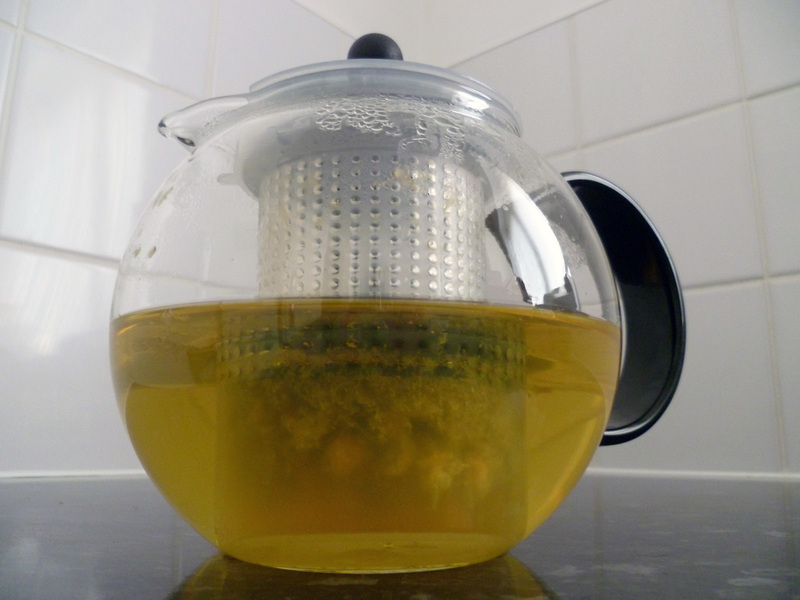 I like to use a Bodum tea infuser to make pots of herbal tea at home. 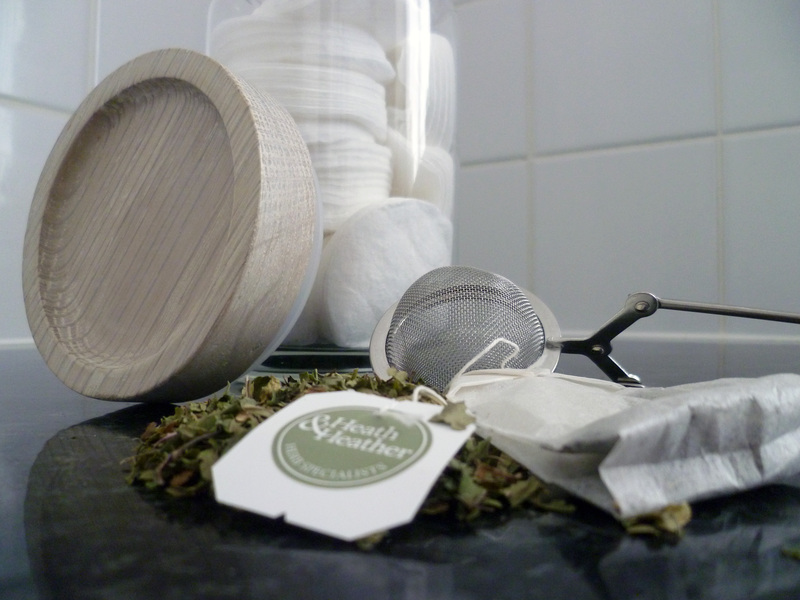 It is so handy, I can infuse regular or herbal tea bags or loose leaf tea and herbs in any combination. The infuser gradually steeps the herbs and keeps them covered. This is important to make sure that the beneficial chemical constituents in the herbs are not lost through evaporation, and as the steam cools it condenses back into the infusion. That’s the science bit. This Bodum tea infuser pot is brilliant, I am always using it to make my own fresh herbal teas. 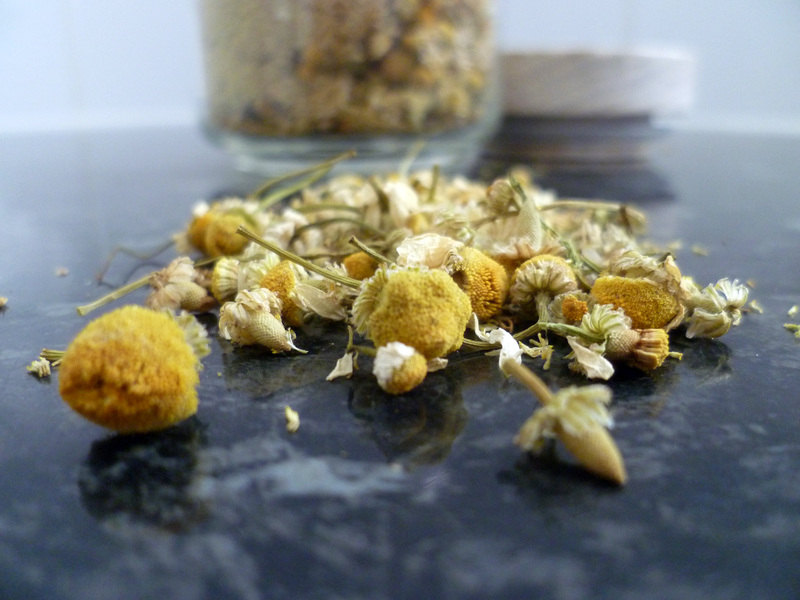 Add 3 tsp of dried chamomile to a tea pot with infuser; pour over hot water and cover to steep and cool for 10 minutes. Pour a little chamomile tea into a measuring cup or bowl, and add 1/2 tsp of manuka honey; stir until the honey has dissolved. Soak a couple of cotton wool pads in the chamomile and honey tea, then remove and squeeze excess liquid before sweeping across your face. A little chamomile tea with 1/2 tsp of manuka honey in a small measuring cup to soothe my skin. Herbal tea toners are meant to be used the day that they are made, because any homemade beauty product that uses water as an ingredient has a short shelf life – and these are mostly water! You could let the tea cool and jar it in the fridge for one or two days, but as I drink a lot of herb tea I prefer to use a fresh batch of toner each day. 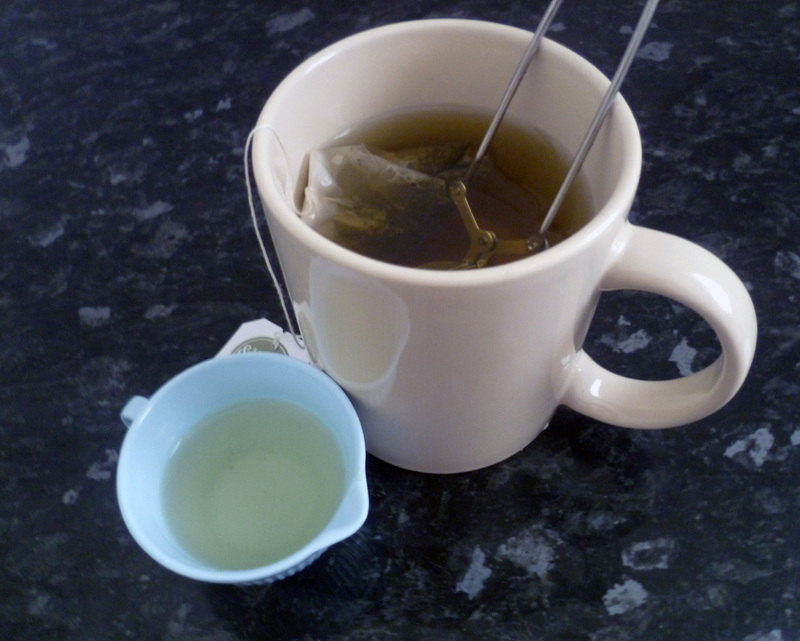 I like to add a few herbs to my plain green tea to make it tastier, it goes well with peppermint. I use green tea bags when I am in a hurry, although I prefer loose leaf green tea because only a sprinkle is needed and it seems to have a more delicate taste. To make green tea from bags more tasty, I’ll add a little peppermint or lavender to my mug using a mesh tea infuser. Green tea is very beneficial for skin. It is high in antioxidants and often drunk as an anti-aging remedy. Topically, it is astringent and toning, helping to improve skin texture, while also being anti-inflammatory and helpful for irritated or blemished skins. Peppermint is a herb that is both cooling and calming to skin. This toner was very refreshing on my skin. Simply steep the green tea bag in a mug with a scoop of dried peppermint leaves inside a mesh tea infuser. After about three minutes remove the green tea bag (green tea is not so tasty when it is brewed too long) but let the dried peppermint continue to brew for another seven minutes or so. Remember to cover the infusion with a saucer or tea cloth, so the chemical properties don’t evaporate. Pour a little into a small cup and allow to cool. Soak with a cotton wool pad and wipe over your face. My mesh infuser is great for adding loose herbs to a mug for a quick herbal tea. Green and mint tea is so refreshing and really wakes me up. I also make rosemary tea like this, because it is a great substitute for coffee and stimulates the mind. Rose smells heavenly and makes a lovely cup of tea with lavender and jasmine-infused green tea leaves. 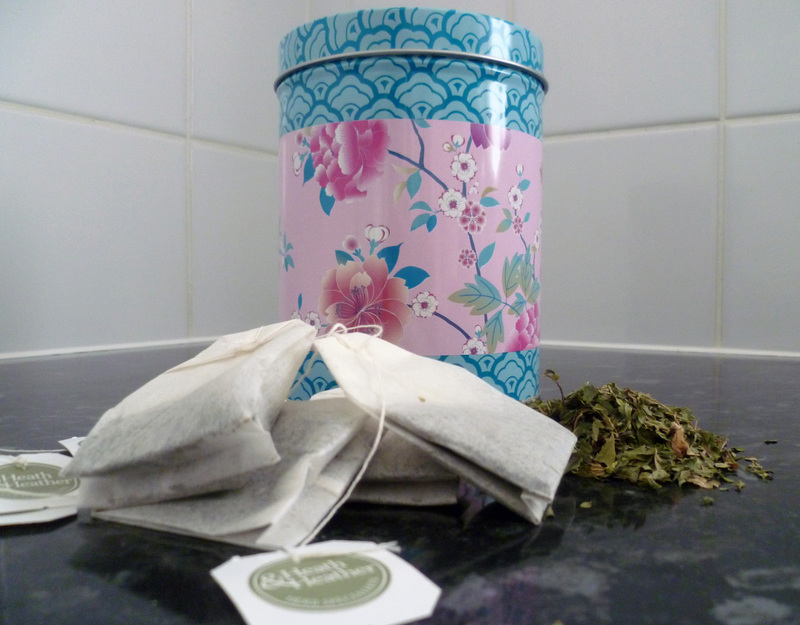 This luxurious herbal tea was the one I chose to make for my mum on Sunday. It has the delicate taste of jasmine and smells gorgeous because of the rose and lavender. I prefer to drink it with a spoonful of honey in my cup. As a toner, this tea has many lovely properties for your skin including all the benefits of green tea. Jasmine is soothing, softening and hydrating; lavender is antiseptic, astringent, anti-inflammatory and also balancing to skin; rose is cleansing, refreshing and hydrating. My skin felt and smelt lovely after I used this! 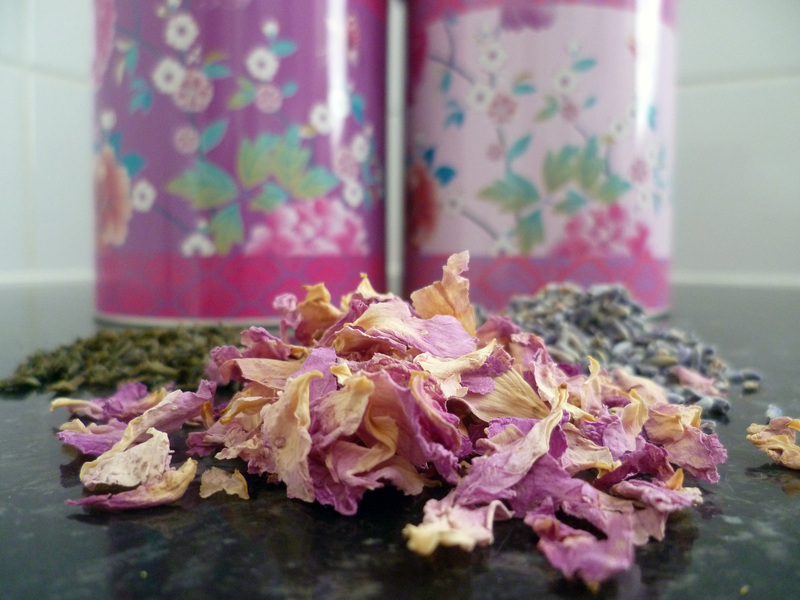 Add 1 tsp of jasmine green tea to a tea infuser pot with 1/2 tsp of dried lavender and 1 tsp of dried rose petals. Pour over just boiled water. Steep the infusion for 10 minutes and allow to cool for a further few minutes. Pour the infusion into a small cup and enjoy the scent of jasmine, lavender and rose as you use it on your skin. My jasmine, rose and lavender tea ready to drink and to pour a little for a pretty skin toner. On Sunday there is usually cake for teatime and as today was also Mother’s Day the cakes were especially beautiful! 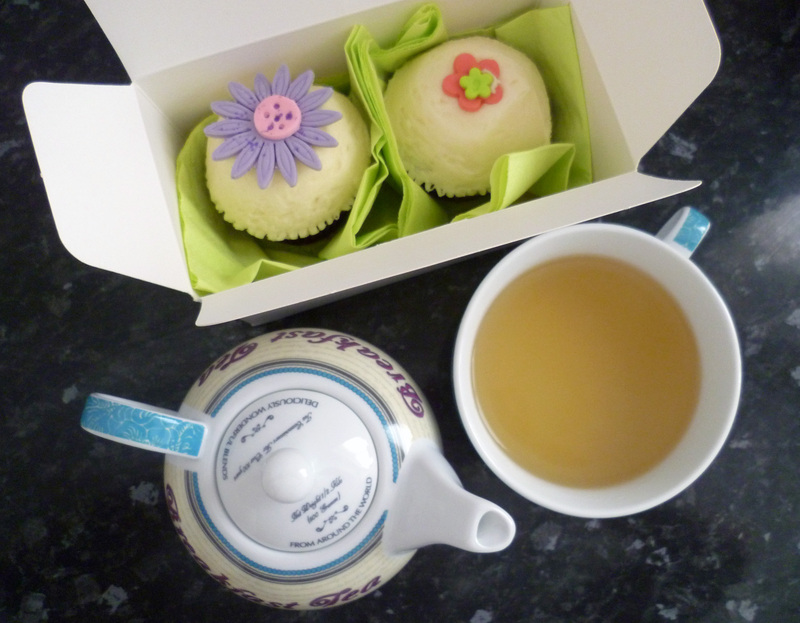 Smell of roses and cupcakes – heavenly! Happy Mother's Day, mum! Enjoy your scents of roses! 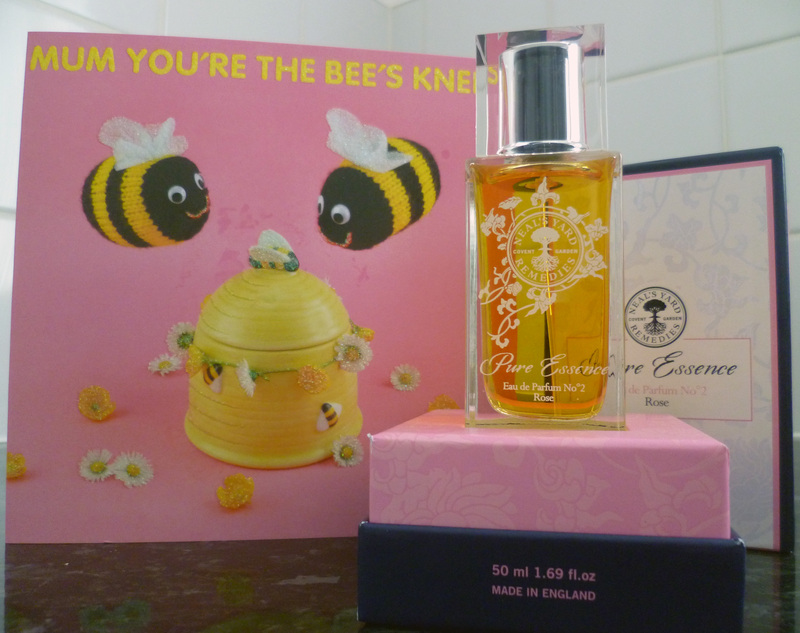 The perfume is ‘Pure Essence Eau de Parfum No.2 Rose’ from Neal’s Yard. My mum loves it – and I do too! I’m looking forward to drinking my green tea and peppermint infusion again tomorrow morning – exactly what’s needed for a Monday! With a bit of luck, this week’s forecasted fair weather should bring our shook swarm! 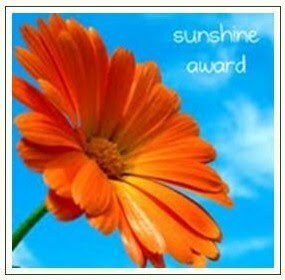 I would like to say a big thanks to Donna of Momma E blog for nominating my blog for a Sunshine Award. 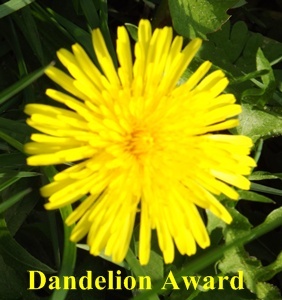 It is so lovely to be appreciated and I’ll be sure to pass along my own nominations soon.